A loft metropolis conversion of an old woolstore in Pyrmont, Sydney. 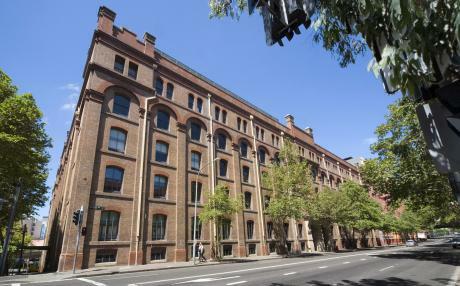 The woolstore maintains the former drive up carpark with a new inserted band of loft apartments clipped to the perimeter of the former woolstore façade. The existing roof top is designed as an elevated Australian parkland containing a glass box and sun screened complex of penthouses at one end and a unique block of inner-court houses at the other.